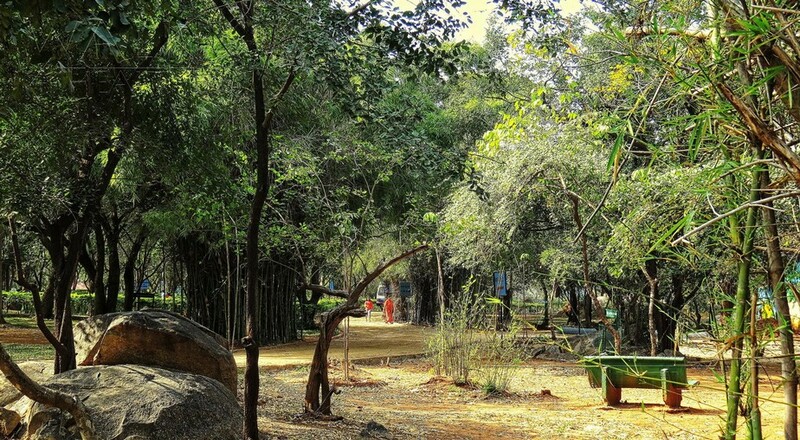 Mrugavani National Park is located enroute to Chilkur, Moinabad, Hyderabad. It is spread over an area of 800 Acres. 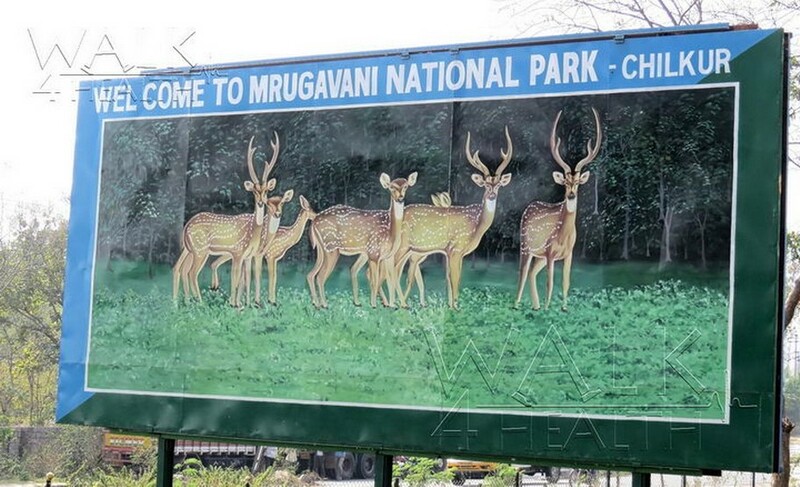 Home to more than 600 species of plants and over 350 spotted deer. 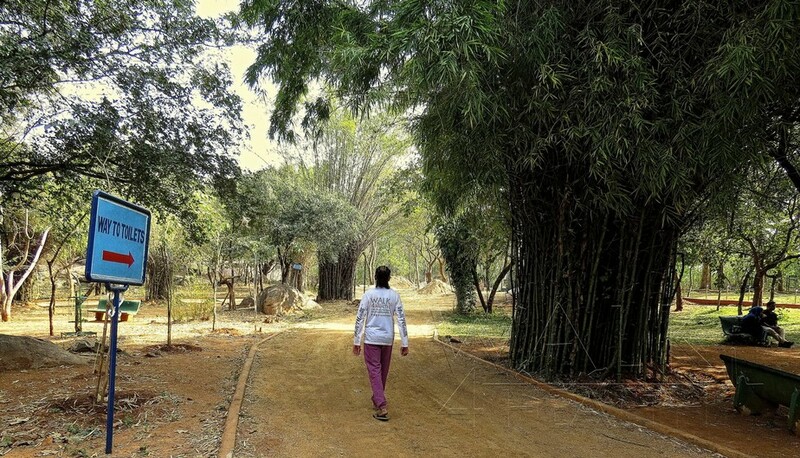 The Indian government announced it as a wildlife sanctuary in the year 1994 with the motive of preserving nature and wildlife in an undisturbed way without much human intervention, creating an ideal habitat for the fauna and flora to flourish. 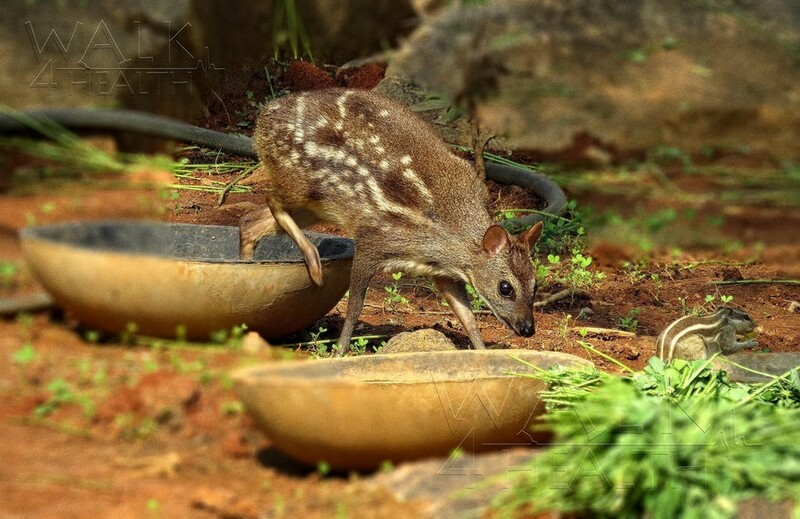 The park has unique zone for Chevrotains also known as Mouse Deer, one of the smallest hoofed animal species. They are not really deer at all but belong to their own unique family of hoofed mammals. Measuring an average length of 45 cm (18 inch) and an average height of 30 cm (12 inch). Mouse Deer can live an average of 2 to 24 months but can live as long as eight years in captivity. 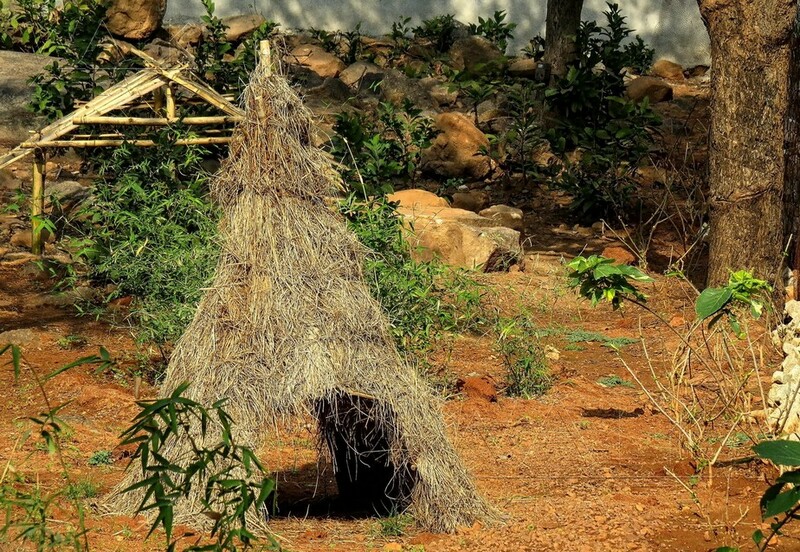 Considering of their small size, the park authorities have built small size hut homes for them, which is a great attraction in the park. 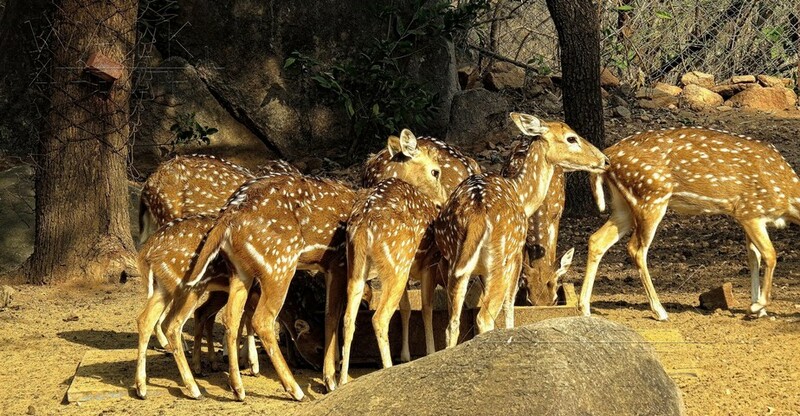 Apart from the varied flora and fauna the Mrugavani National Park is home to Spotted Deer’s, Mouse-Deer, Wild boars, Sambar, Indian hare also known as Black-naped hare, Oriental Garden Lizard, Mongoose, South Indian Rock Agama, India vipers and many others. It also boasts of a rich avian fauna. Some of the birds you can see at Mrugavani National Park are Peacocks, Bulbul, Jungle Babblers, Flowerpeckers, Lapwings, Ashy Prinia, Green Bee Eater, Indian Robin, Myna, Purple Sunbird and over 100 varied species of birds, this is an ideal place for bird-watchers. 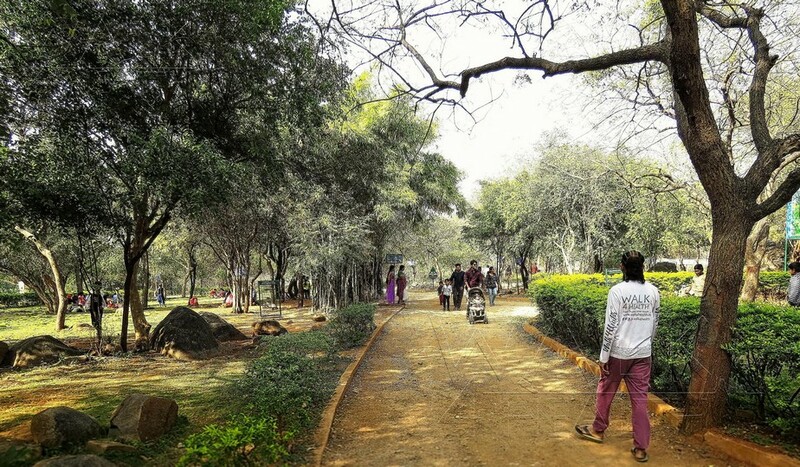 Visitors can opt for safari rides for getting closer to the park’s denizens, though you can only spot some spotted deer’s, peacocks as the area for safari is limited to a specific zone. 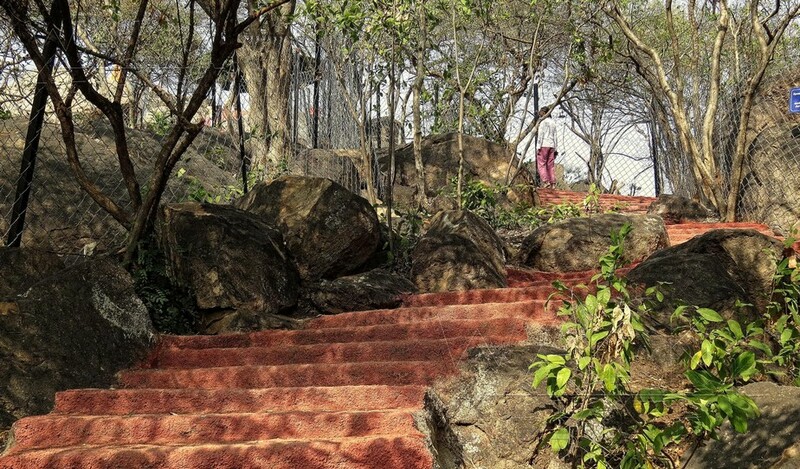 Mrugavani National Park has a watch tower to have high point view of forest conservation area. 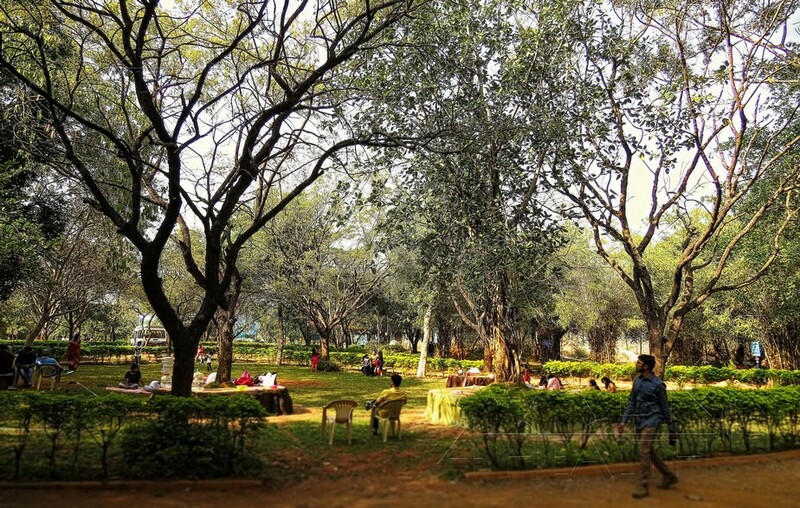 This park is perfect for family gatherings and reunions, it has good facilities for dining in green spaces. 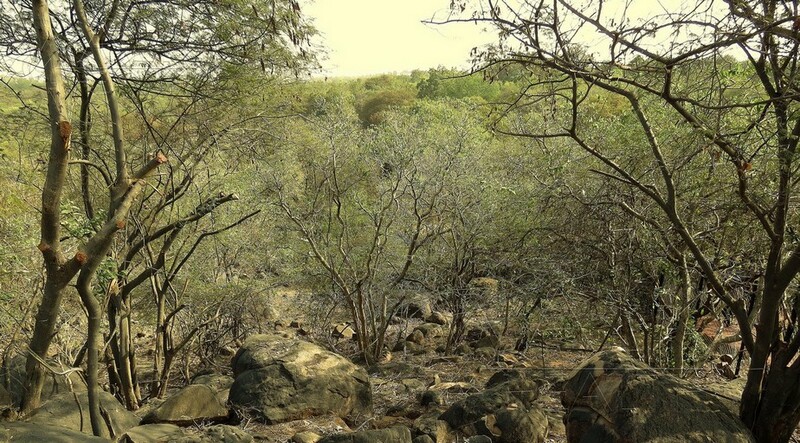 Mrugavani National Park has a topography made up of several rocky exposures that are characteristic of Deccan formation. 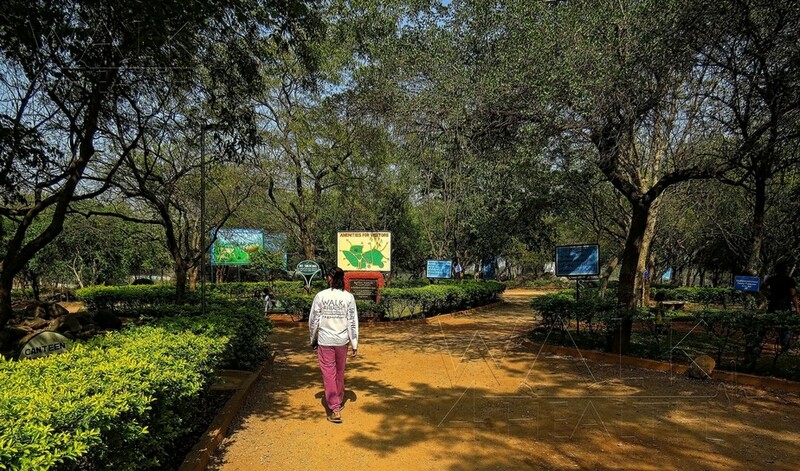 There is an education centre a museum and auditorium which exhibits wildlife. By Air: Hyderabad is the nearest airport. It has direct flights from the major cities and connecting flight from others. 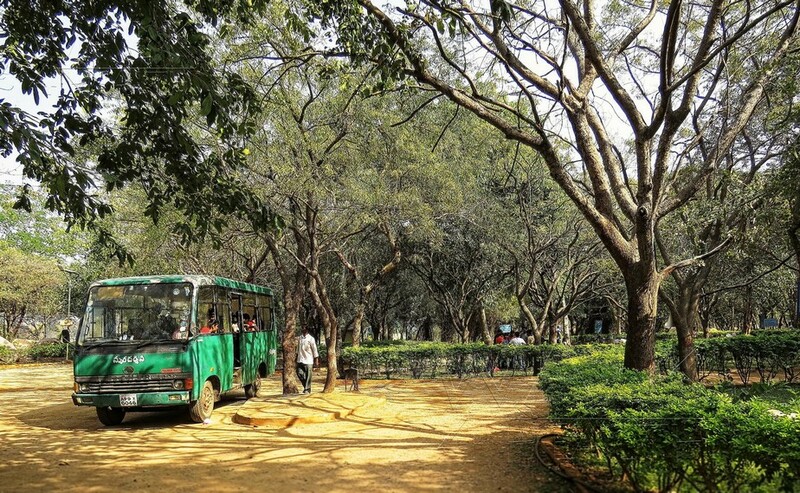 From Hyderabad to Palmetum Park, cabs can be hired, the drive would take 1hour. 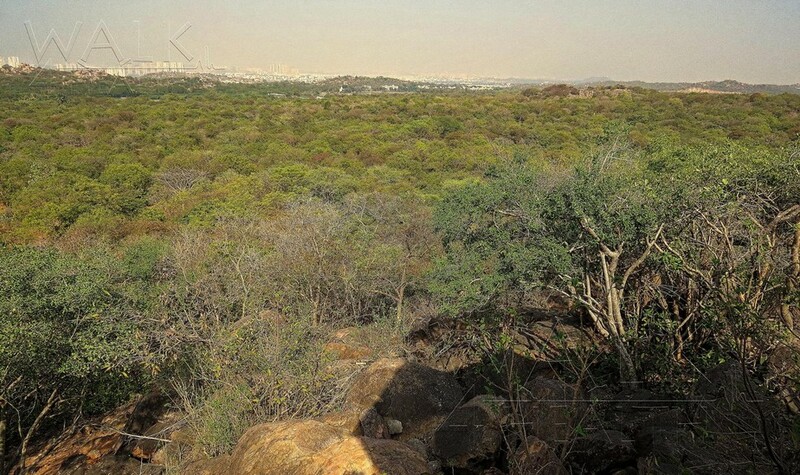 By Road: Landmark is enroute to Chilkur, Moinabad, close to Nehru Outer Ring Road, Hyderabad. Note: Visitors are requested not to carry any Plastic Bags or Plastic Bottles to park as they pollute the environment.